For some, summer is the perfect season because they get to enjoy the sea, sand, and sun. I have a love-hate relationship with summer; I love it because this season is the season where I best enjoy "halo-halo" and other frozen treats. I hate it because I'm afraid to bask under the sun for I get sunburn immediately. 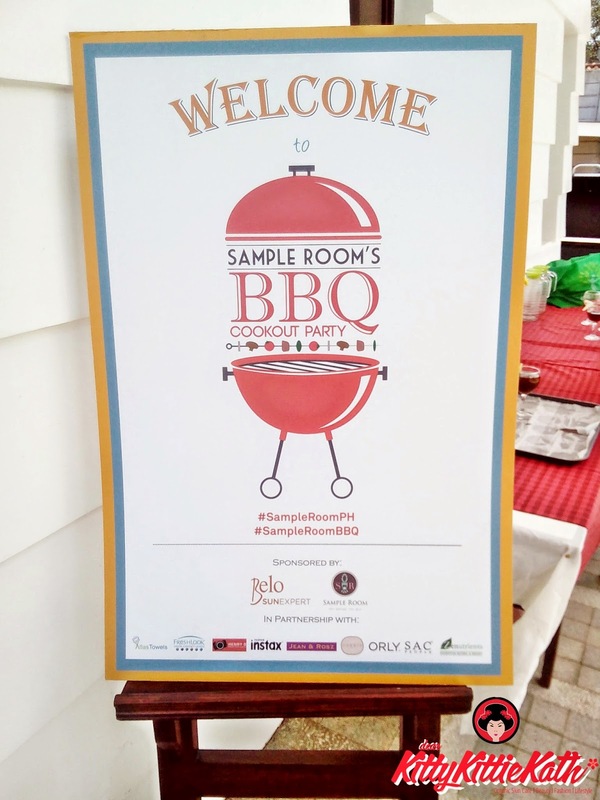 But this "hate" thing with summer came to an end when I joined Sample Room's BBQ Cookout Party. 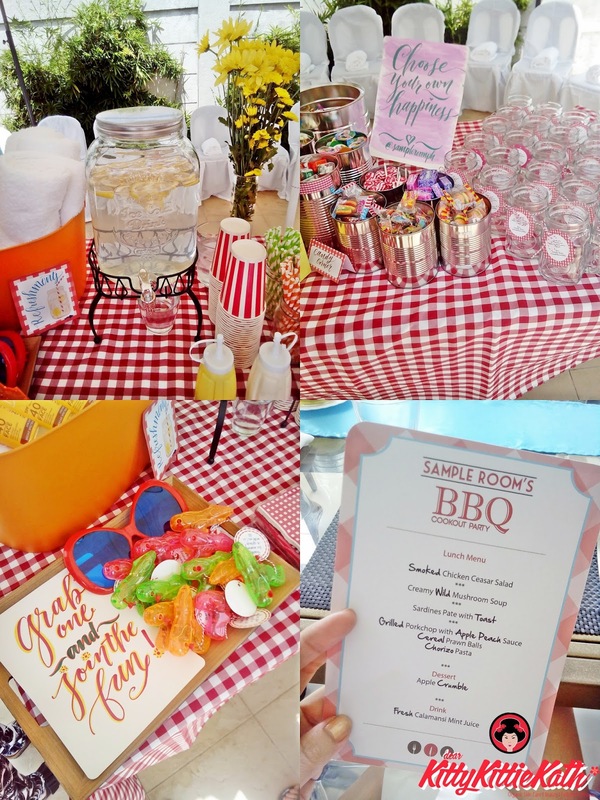 I'm really thankful that Sample Room invited me to this event because I came to realize that there's nothing to worry about having fun under the sun as long as you're protected with products that blocks harmful UVA/UVB rays. I discovered one brand that carries different kind of sun protection products and from what I experienced during the event, I can truly say that their sunscreens are effective! Click CONTINUE READING to see the highlights of our summer getaway! The event was held at Wilson's Place Tagaytay, the place is perfect for group outings, seminars and retreats. 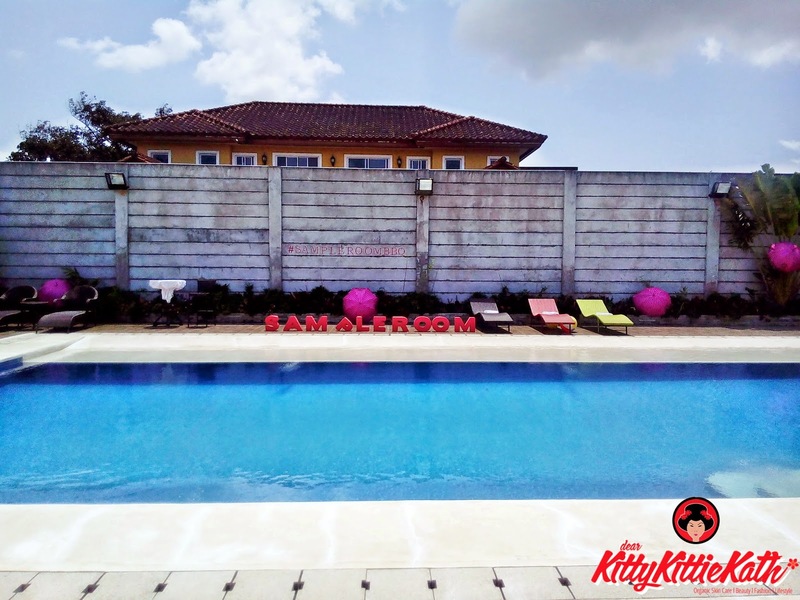 It's a great place for a staycation away from the busy streets of Manila. We arrived around 12 noon, it's time for lunch and I took this photo where the sun was starting to shine bright. I needed a cover-up, I must stay away from the sun's damaging rays but a basket full of sunscreens from Belo SunExpert welcomed us, I was relieved to see these promising products from Belo. Belo recently introduced a new addition to their roster of sunscreen products- The Belo SunExpert UltragentleSheer Spray SPF50. It is a sunscreen that is gentle enough for kids yet effective and strong to protect everyone in the family. 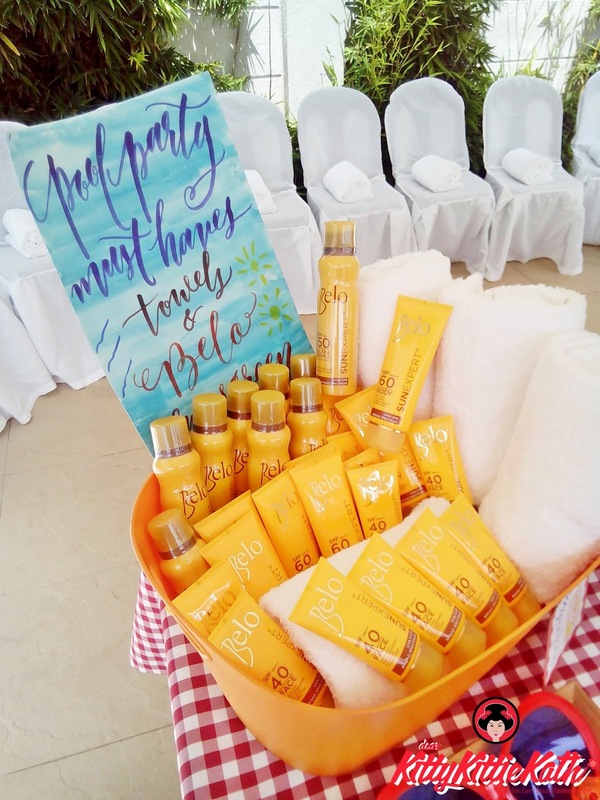 Aside from these babies, Belo Essentials introduced another product that will protect the skin from the damaging rays of the sun. It's not the usual lotion, cream, or spray type because it's something that we can carry every day. Are you somehow intrigued? Raise your hands if you are!!! Introducing Belo SunExpert Sunbrella: The Super Umbrella! Give your ordinary umbrella a rest, it's time to use an umbrella that has added sun protection. You should switch to Belo SunExpert Umbrella UPF50 because it is functional and stylish, giving you a sense of artistic expression while brightening up your day. See yourself basking in the hot glow of summer sun or standing under such a gloomy weather, with your Belo SunExpert Sunbrella UPF50 at hand with its dome shape designed with classic ruffles and patterns. The Sunbrella is sturdy yet handy, made from polyster with wooden shaft and tip. Do I look stylish with the umbrella? I swear, this umbrella rocks! The ruffles make it more stylish and girly. With added sun protection, I'll definitely enjoy summer anytime, anywhere! So going back to the event, before I enjoyed the rest of that afternoon, I applied Belo SunExpert UltragentleSheer Spray SPF50 all over my body. No worries that I'll have sunburn after swimming and doing the underwater challenge that was the main activity that day. Thank you Wilson's Place Tagaytay for the sumptuous meal! I super like the smoked chicken ceasar salad and the cereal prawn ball is the bomb! I super love the spray! Yes it's gentle on the skin and it's not sticky. 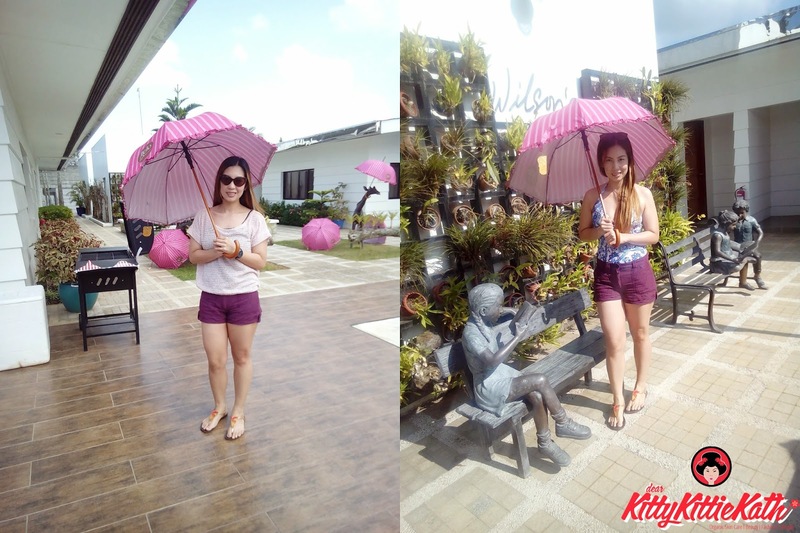 I enjoyed playing and roaming around even without cover-ups because Belo SunExpert products got me covered! Before I end this post ,I want to thank Sample Room for inviting me. It's my pleasure to be a part of this family and I support their battle cry of "Try before you buy". Try before you buy sounds nice and it's a lot nicer when you actually have tried the sample product first before purchasing full-sized ones. This can save a lot of money, time, and effort right?